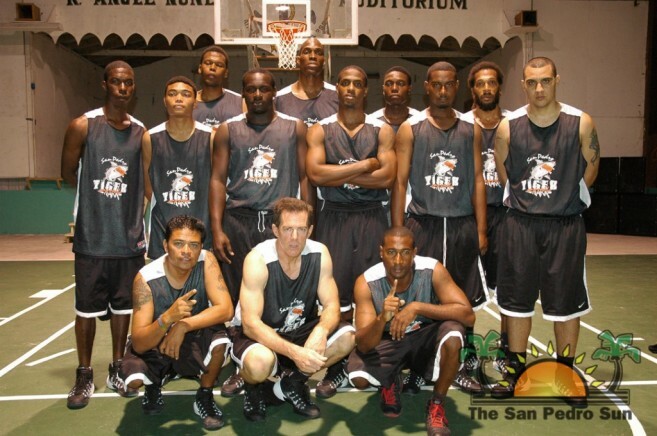 The San Pedro Tigersharks continue to make waves in the National Elite Baskeball League (NEBL) and in week five, they picked up yet another win for the season. On Saturday March 8th, they faced off the Belmopan Bandits at the UB Gymnasium. The home team succumbed to the ferocity unleashed by the visiting San Pedro Tigersharks with a crushing 25 points deficit in a game that ended 84-59. From the start of the game, spectators were in for a showdown. What an unforgettable night the Tigersharks had in store for the Bandits! In the first quarter, the Tigersharks milled the home team so badly the Bandits were unable to recover throughout the course of the night. San Pedro’s Ashton Edwards was on a roll and in the first quarter he scored five three-pointers giving the Tigersharks a comfortable lead of 29-13 points. No compassion was shown in the second quarter as the Tigersharks’ Jamal Kelly hit two three-pointers, contributing half of the twelve points gained by visiting team keeping the 40-22 points lead. In the second half, the Tigersharks kept the energy going while the home team lagged behind. Despite the excellent show of sportsmanship, the Bandits were crippled from the first half. Tigersharks kept pounding the points, ending the match at 84-59 in favor of the visiting team. The Tigersharks were led by Ashton Edwards with 23 points and 5 rebounds, Winston Pratt with 21 points, 8 rebounds and 4 assists, Louis Pitterson with 8 points, 7 rebounds and 1 block and Darwin Leslie with 8 points.